Warm & inviting! The living room/foyer offers an open oak staircase w/wrought iron spindles, bay window & full wall brick fireplace. 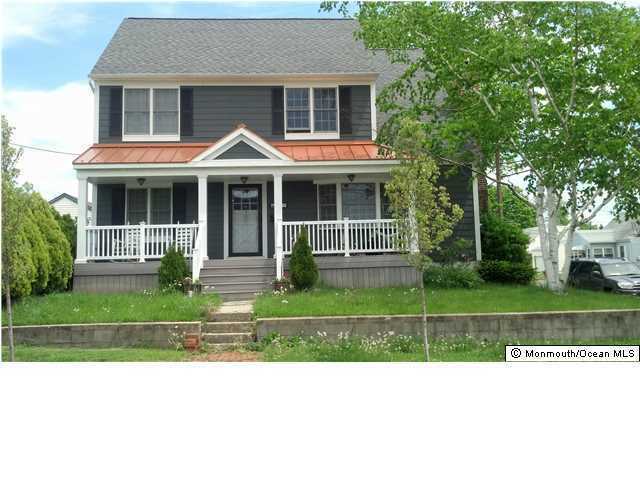 An extra bedroom & full bath on first floor accommodate guests or in-laws. First floor offers an Eat-in Kitchen, Dining Room, Family Room & Den. 3 beds on 2nd floor PLUS large bonus loft! Total make-over in 2006 - New roof, furnace, central A/C, Hardee Plank Siding, Anderson Windows, Porch, Deck, Wood Floors, Kitchen tile, Carpets, 2 new baths. Call this home!